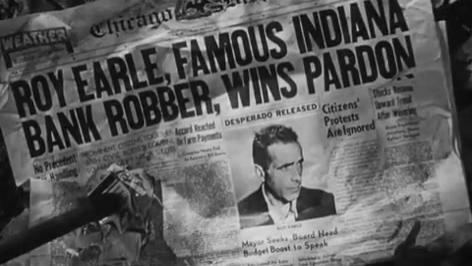 Humphrey Bogart played yet another gangster in Raoul Walsh’s HIGH SIERRA, but this time things were different. Bogie had spent the past five years at Warner Brothers mired in supporting gangster parts and leads in ‘B’ movies, but when he read John Huston and W.R. Burnett’s screenplay, he knew this role would put him over the top. James Cagney and Paul Muni both turned it down, and George Raft was penciled in to star, until Bogie put a bug in his ear and Raft also refused it. Bogart lobbied hard for the role of Roy Earle, and his instincts were right: not only did HIGH SIERRA make him a star at last, it led to him getting the lead in his next picture THE MALTESE FALCON , the directorial debut of his good friend Huston. 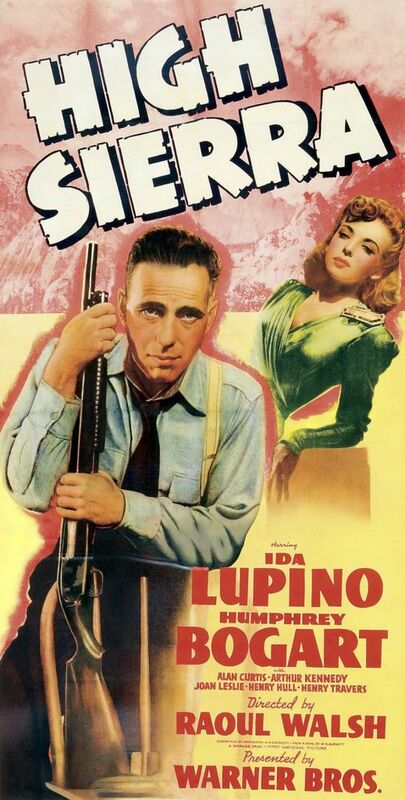 This entry was posted in Film, Film Review and tagged Cracked Rear Viewer, film noir, Gary Loggins, High Sierra, Humphrey Bogart, Ida Lupino, Joan Leslie, raoul walsh, Through the Shattered Lens, Warner Bros. Pictures, Willie Best. Bookmark the permalink.